After a beautiful year cancer free, back at home living a normal life, the family received a terrifying phone call from the doctor. 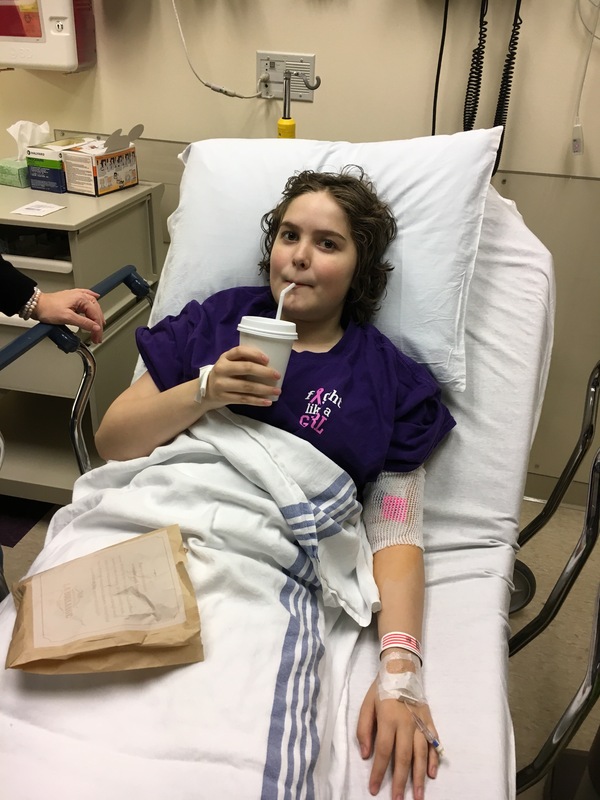 For the last year Danielle has been coming back to the dreaded doctors office every month for routine blood work, but after a year of being cancer free it was spread out to coming in every 3 months. Well, that first 3 month check in is when we received news of elevated white blood cell count. After further testing, it was confirmed that the leukemia had come back. Danielle’s reaction was mostly anger, for obvious reasons. The rest of the family was devistates, heartbroken, and scared. As scared as we all were, Danielle focused on making a video to say goodbye to her class. Monday morning, the family went down to school and Danielle showed her video and her class wished her a speedy return. After that it was off to Doernbecher to find out the next steps. When we arrived the first thing was to get her PICC line in to make administering the chemo and other medicine easier. It was an emotional process for Danielle until they gave her a little morphine and then she was happy as a clam. At this point we don’t have much to report. The doctors will start chemo soon and will continue treatment until she is in remission, once she is in remission we need a bone marrow donor, after that, we can go home. There are a lot of “what if” questions and we don’t have the answers to all of them. We are trying to stay focused on the present and not on the future or the possible future. Just being with Danielle and watching her draw. The family is in a little shock right now, we are doing our best to keep family and friends updated and hopefully the blog will be more helpful this time in keeping everyone up to date on Danielle. To say the family is devastated, heartbroken and scared is a pretty good description. But MAD needs to be in there, really MAD. 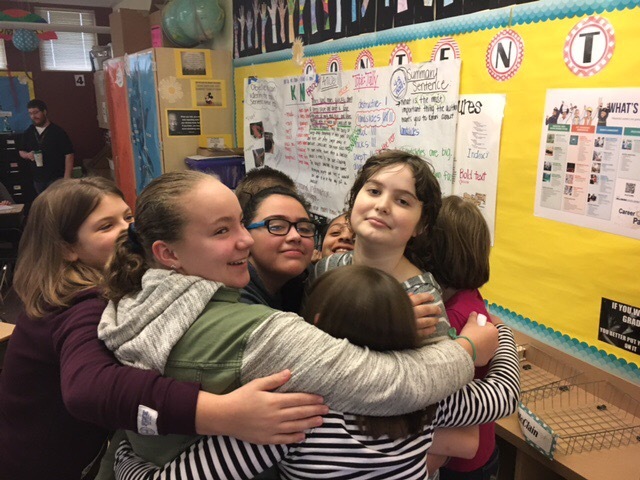 But I look at the picture of Danielle saying goodbye to classmates and I am hopeful she will give “round 2” the good fight and praying a bone marrow match comes soon. On a talk show recently a movie star urged people to go in for testing to donate bone marrow. Which puts you in a register for unfortunate people who’s life depends on it. Last time Danielle was in hospital I gave blood as often as I could. This time I am going to research how to be a bone marrow donor. Plus help the Diesz family anyway I can. Prayers have been flowing, positive vibes and bountiful love to you. Previous Previous post: We’ve Got Our Sweet Daughter Back!